Are you feeling in need of a little ‘me time’? A touch of pampering? 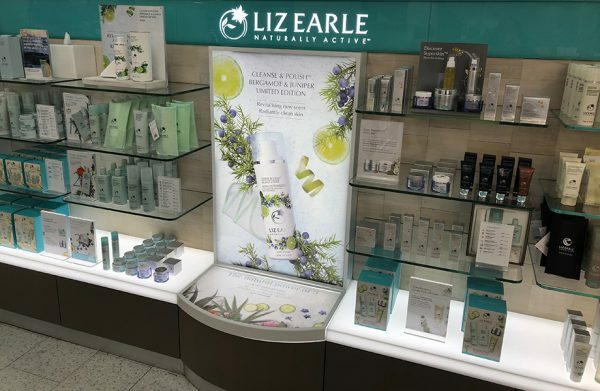 Let us tell you about the brilliant skin services offered by the Liz Earle team at Boots in Broadmead. 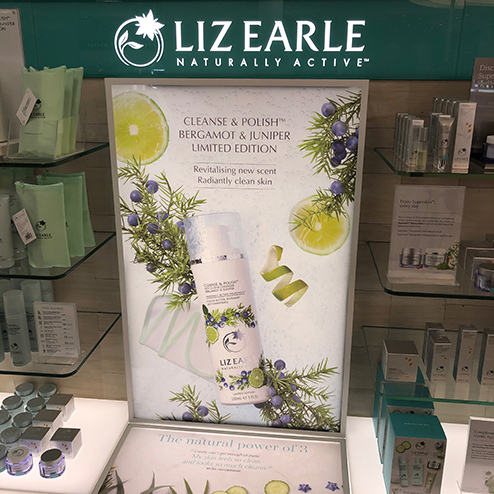 On a cold January morning, we stopped by the Liz Earle counter to find out about a new limited edition version of the brand’s famous, and award-winning, signature product – featuring a revitalising new scent, the Cleanse & Polish Bergamot & Juniper Limited Edition will only be available for around eight weeks. We were delighted to be offered the chance to try the product for ourselves as part of a complimentary Skin Service. With time at a premium, we opted for an ‘express’ 10 minute service, concentrating on a cleanse, tone and moisturise routine that’s designed to deliver beautiful, healthy-looking skin every day. 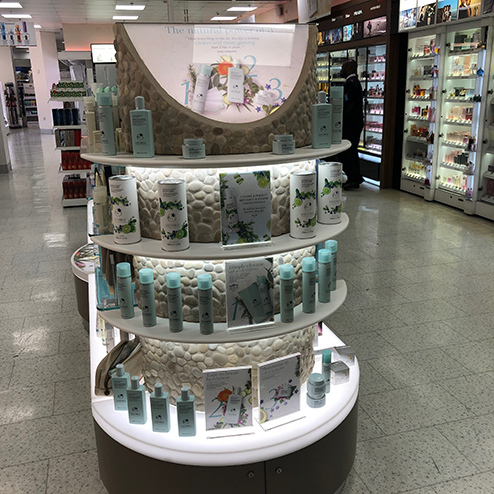 The products used included Cleanse & Polish Bergamot & Juniper Limited Edition, which has a rather lovely fragrance (it’s slightly reminiscent of gin and tonic, but better for you! ); Instant Boost Skin Tonic Spritzer; Superskin Moisturiser with natural neroli; Eyebright Soothing Eye Lotion; and Superskin Eye Cream. Other Skin Service options include personalised skin solutions for issues such as sensitive skin, breakouts, fine lines, and uneven skin tone and a slightly longer session, which includes a relaxing hand and arm massage. Our 10 minutes was lovely, very relaxing, a perfect mid-morning break, but we’re very tempted to book the longer session for one lunchtime. Their principles, then as now, focus on the use of high performance, quality and safe ingredients. They are passionate about responsible sourcing (they know the provenance of each ingredient, down to details such as the grower and harvester); respecting animal welfare; and using high-grade, broad-spectrum preservatives where necessary to ensure the safety of their products. Alongside all of that, they take the environment into consideration too, aiming to work with it, not against it – “reduce, reuse, recycle”. For more information, to enjoy a service, or to book an appointment, speak to a member of the team on the counter or call Beatrice on 07823 352592.